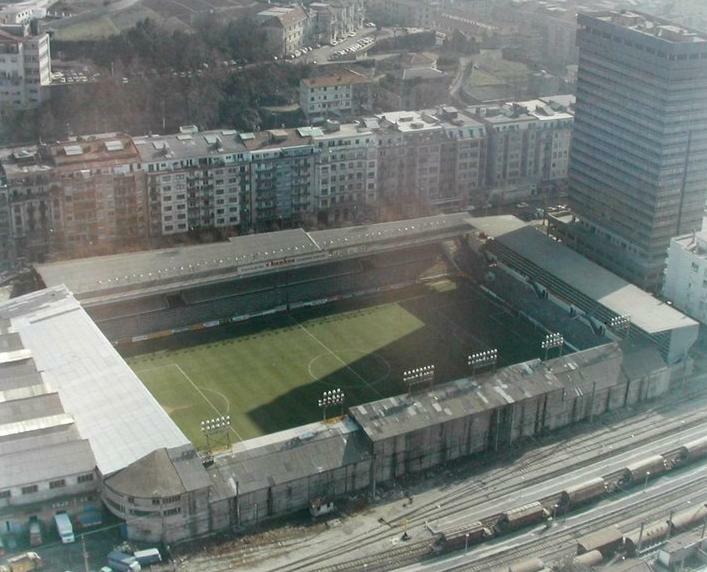 Atotxa, officially called Estadio de Atocha, was for 80 years the home of Real Sociedad. Atotxa got built only a few years after Real Sociedad had been formed. 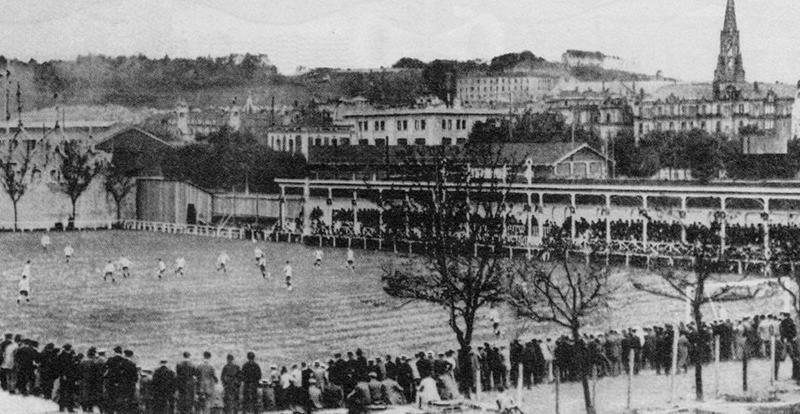 The stadium officially opened on the 5th of October 1913 with a match between Real Sociedad and Athletic Club de Bilbao. The ground was located in the centre of San Sebastián tucked in between a set of railroad tracks and the foot of a hill. It was initially a rather simple affair with one small stand, but soon a new double-decker main stand got built, which got accompanied by an open terrace on the other side. 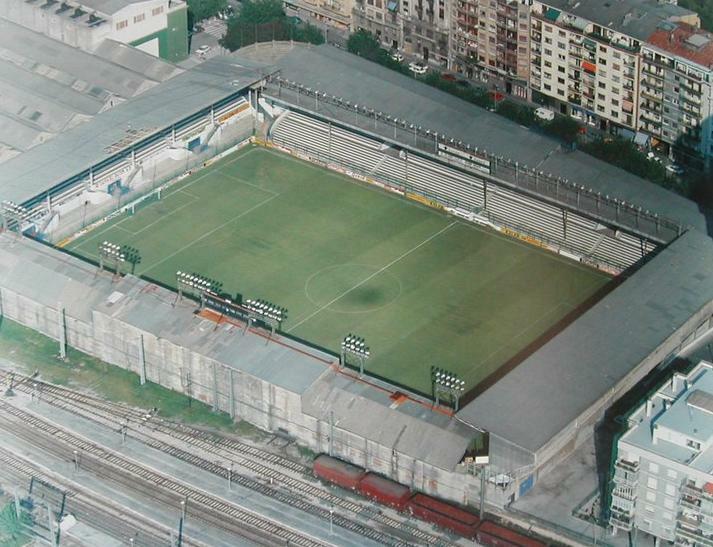 Atotxa received its current shape in the 1940s and 1950s when first a new covered main stand was built, and later two new stands at both short ends. The ground underwent its last major change in the 1970s when the terrace opposite the main stand received a new and better roof. Atotxa’s main feature was the close distance between the stands and the pitch, which gave it its reputation for having an intimidating atmosphere. San Sebastián’s highest building, the Torre de Atocha, was located right behind one of the goals, giving the stadium an impressive backdrop. At the same time this lack of space also limited any future expansion possibilities. 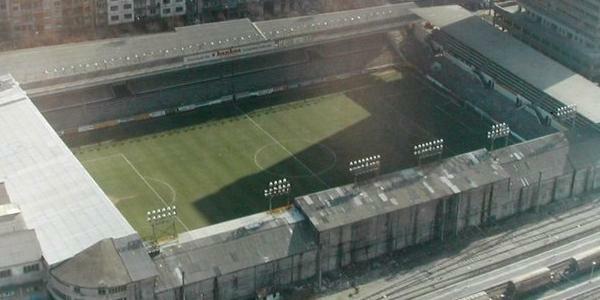 In the 1980s the stadium could hold about 27,000 people, but the club’s successes resulted in the club starting to look into building a new and more modern stadium. This new stadium, Estadio Anoeta, would become the almost opposite of Atotxa. With its athletics track and stands far from the pitch, it is considered to be a cold and soulless stadium by many Sociedad fans. 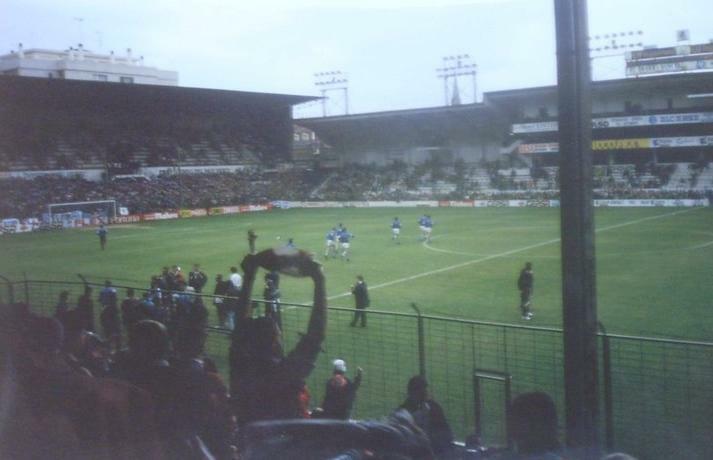 The last match at Atotxa was played on the 22nd of June 1993. Soon after the stadium got demolished and replaced by residential buildings.